Winter may seem to be never ending this year especially in the midwest, but spring is just around the corner, bringing with it the promise of warmer weather, spring showers, and bright colors. Make the most of the weather and dust off the winter blues. Clutter and trash can build up over the winter, hiding in garages, corners of bedrooms, or even kitchen pantries. One of the first things you can do when the warm weather arrives is clean out the trash. Pick a nice Saturday and grab some trash bags. Start with a room and throw out all the trash you can find. Kleenex and snack wrappers are common items in teen bedrooms. Getting all of the trash out of the house will make it easier for follow up tasks. Springtime is a great opportunity to go through your things and recycle, donate, or throw out unused belongings. Old or outdated clothing, toys, and obsolete electronics can build up. Getting rid of clutter will make your home feel less messy. The next step for getting your home ready for spring is organization. It’s easy when “hibernating” during the winter for things to become disorganized. Clothing, books, toys and games are all easily put out of place when dealing with cabin fever. Once again, it’s best to go room by room and organize them to your liking. This is also useful if you plan on having friends or family over to celebrate the warmer weather. Spring is often associated with cleaning. The warm weather brings a brightness and a refreshing change from the cold. It’s a great opportunity to do a deep clean of your home. Open the windows and air out the stuffiness of winter. Many families don’t completely neglect cleaning over the winter, but Spring is the perfect time for a deep clean. Carpet cleaning, dusting, and a good hard scrub of the bathrooms and kitchen can make your home feel new again.</p? Just like the inside of your home, the outside can use some clean up after a long winter. Dirt and debris can be left behind by snow, and the humid weather can cause a build up of mold, mildew, and algae. Take a quick look at the outside of your home - are there blackish brown spots on the siding? Black streaks on your roof? Mold or dirt on your sidewalk and driveway? 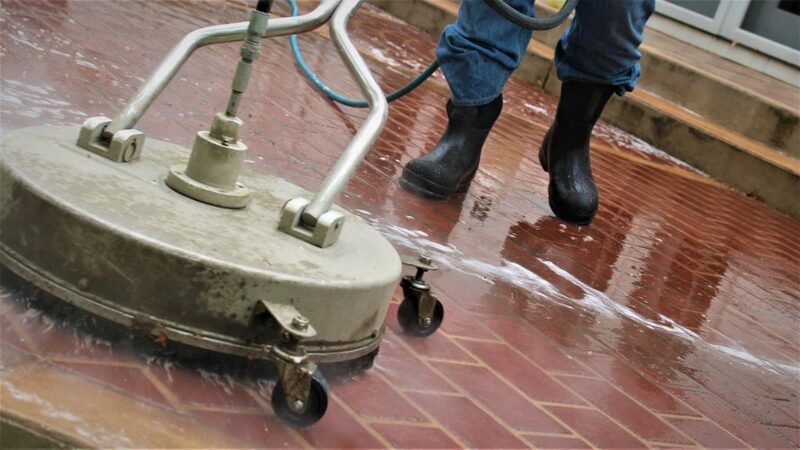 While you can do some of the exterior cleaning yourself, it’s often easier to hire a pressure cleaning service such as Agent Clean. Be sure to ask about soft pressure washing for the siding and roof, as high pressure washing can damage the outside of your home. Winter might be long, but spring is just around the corner. Getting your home cleaned, decluttered, and organized will help you enjoy the changing of the season, and make it easy to host friends and family for those spring barbecues.